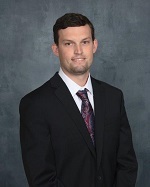 Alec received his Bachelor’s Degree from Florida State University in 2015 and his Law Degree from Florida State University in 2018. While in law school, Alec was a member of the Student Bar Association and interned at a Personal Injury Law Firm in Longwood, Florida. Additionally, Alec volunteered at the Florida State University Center for the Advancement of Human Rights.